The arrival of spring has been full of exciting collaborations and exclusive collections, among them the limited edition Chanel Coco Crush jewelry line for Net-A-Porter and the Chloe x Net-A-Porter collection being the most thrilling fashion news of late. 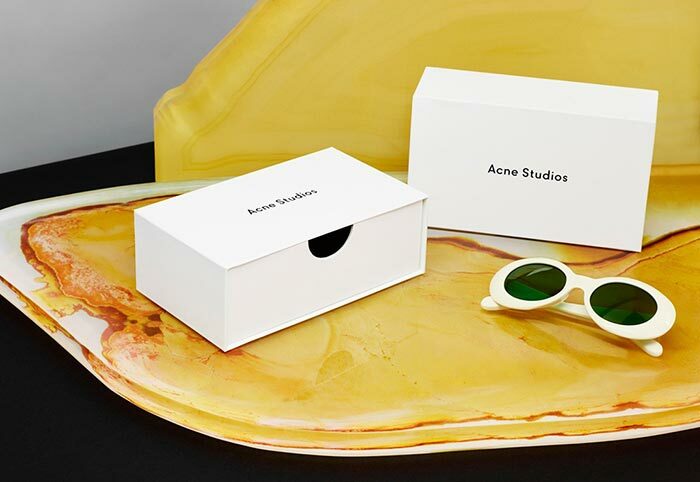 However, good news doesn’t end here, as today Acne Studios debuted their first ever full eyewear collection, bringing seven covetable styles both for men and women. Embedded with a distinctive retro appeal, the first Acne Studios eyewear collection features different styles of sunglasses to target men and women with different preferences and interests. Playing with interesting frames, colors and effects, the Swedish fashion house manages to bring real statement-making eye candies that can elevate your summer and fall style in an instance. We can never have enough pairs of sunglasses, just like it’s with bags and footwear. 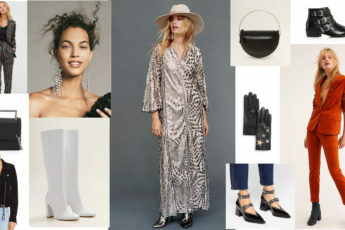 While clothing pieces make one get ready for different events and occasions, it’s the correctly picked accessories that spice up the looks, telling a lot about the wearer’s character, likings and interest in fashion. 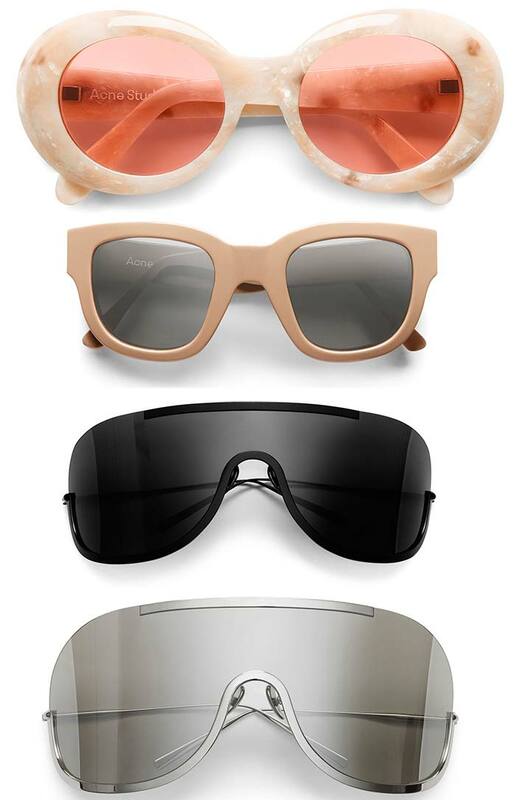 The modern fashioniser knows well about the importance of eyewear when it comes to adding to the sassy appeal of her looks and with these new Acne Studios sunglasses you can easily add the desirable sixties and seventies touches to your outfits, which are among the hottest summer 2015 fashion trends. What makes the first Acne Studios sunglasses collection so exceptionally chic is the fact that the frames used are handmade in France and all the designs are unisex, being quite functional and versatile for the 21st century fashionisers. Moreover, the sunglasses are all polarized and anti-reflective, also providing full UV protection, which is the first characteristic feature you should look for when buying new sunnies. The collection features something chic and cool for everyone, whether you are a fan of the classic style or are on the hunt for bolder and more statement-making designs. You can choose from the large or small aviator style Spitfire sunglasses with a wire frame, the retro frame and oval-shaped Mustang available in four different shades, the sporty chic Sigmund, the futuristic Mask and Mask Junior, as well as the classic Frame and the Sixties inspired Library sunglasses, the latter of which were first featured during the brand’s fall/winter 2015-2016 rtw menswear collection presentation. And when it comes to the colors these designs come in, we have everything from bright blue and pretty pink to the timeless tortoise being the ideal option both for men and women. 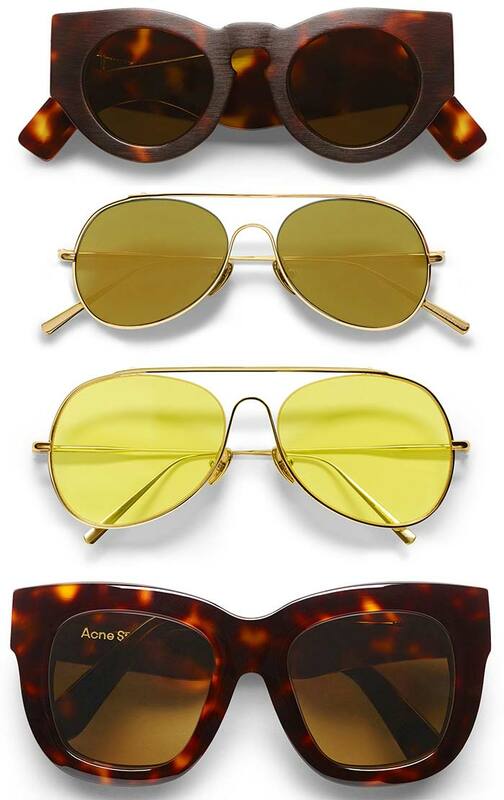 The Acne Studios sunglasses are now available for purchase for a price tag ranging between $330-$430.